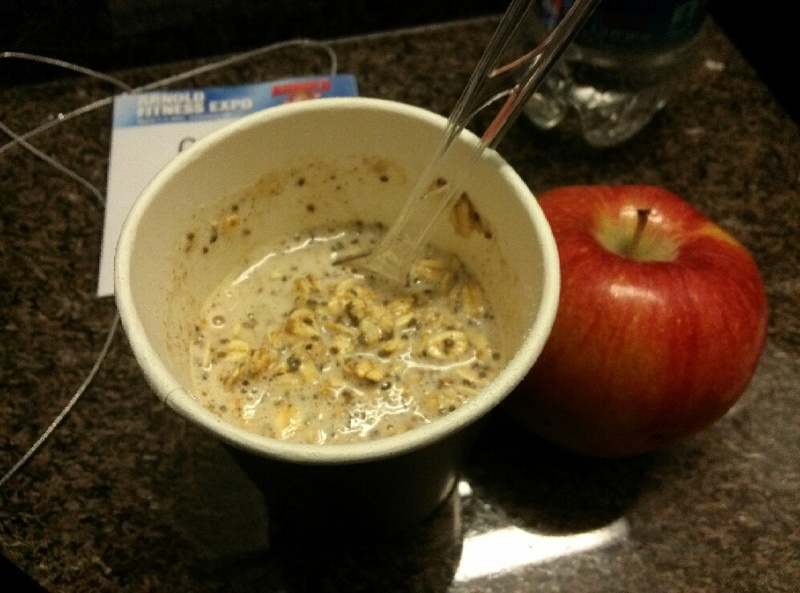 Recipe for Fitness: Back from the Arnold! Wooohoo!!!! Back from the Arnold! Wooohoo!!!! Wow! What an amazing weekend!!! It was so exciting!!! 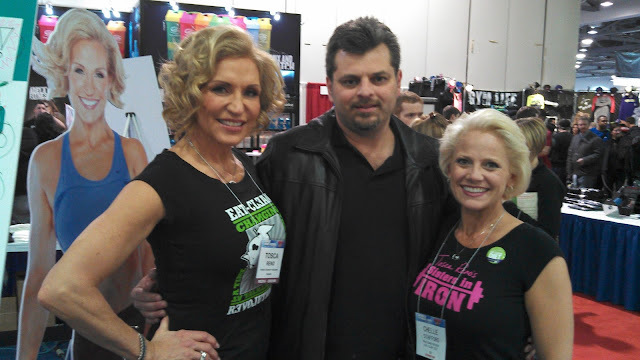 Thank you to everyone who came by the Eat Clean Diet / Oxygen Magazine booth to say hi!!!! It was GREAT to meet ya'll in person! Ok... so let's break it down ;-) Bill and I flew out of Phoenix Thursday evening. I had my cooler packed and was ready! We arrived at the airport, and checked a couple bags, then headed to security. Evidently they've never seen protein shots before ;-) I had two in a baggie (they're 3 oz each), and they raised some eyebrows. The TSA agent really wasn't sure what to make of me. 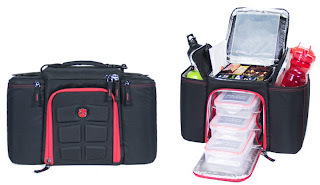 I had baggies of protein powder, baggies of protein powder, oatmeal, cinnamon and chia mixed, baggies of sliced red pepper, baggies of chicken, mini cucumbers, mini condiment containers of peanut butter, bags of celery, apples, rice cakes, and about a gazillion NoGii bars. And my protein shots. Which they took outside and ran through the big bomb scanner. LOL. So once I had my cooler packed again and my shoes on, we parked ourselves at our gate. The hubby hit up Paradise Bakery for dinner, while I whipped out my "travel salad". Yes, I was quite comfy, lol. Then we headed to the booth! SOOOOO much fun! It's such a great energy when so many of us are together. ECD Family - it truly felt like it. It was so good to see Tosca, Kiersten, Rachel, Tracey, Allison, Jill, and Meredith again - plus meet new friends - Amy, Stacy, Marilyn, Fatima, Chelsea... I know I'm missing tons of amazing ECD, Oxygen, ECD, REPS, Muscle-Mag folks. It was GREAT! Everyone was so nice and it felt so good to hear so many great success stories and see so many others in progress. Tosca has so much energy! Which was good because she talked with, took pictures with, and signed a ton of autographs for an astonishing number of people! It's awesome to see how many lives she's changed - and to know that in some small way, I'm a part of that. It's truly an honor to be an ECD Ambassador. I love it! Friday night, the ECD Team headed out for a beautiful dinner - the waitresses face was hysterical when everyone ordered the salmon, hahaha. Saturday and Sunday were packed full of amazing people, books, magazines and crazy crowds! The hubby would meet me at the booth during my breaks and we'd (try to) wander the expo - but it was largely so packed there was simply no movement down the aisles! 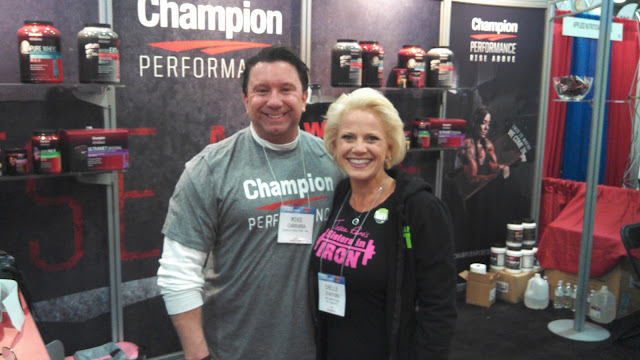 We did make it to the Champion Nutrition booth and I finally got to meet my amazing sponsor in person! :-) And... Lee Banks and Skye Taylor and Sherri Gray! So much Fun!!! Skye Taylor - absolutely gorgeous!! Here he is! 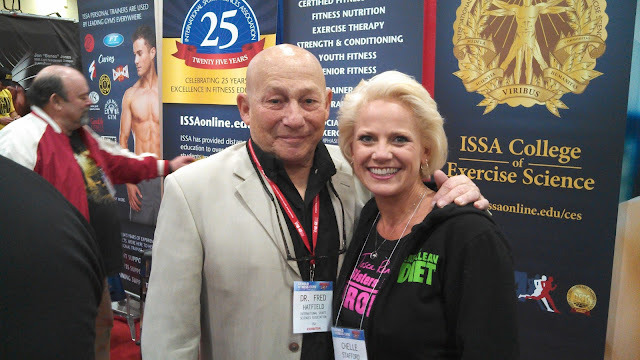 Mike Carrubba - my Champion sponsor! 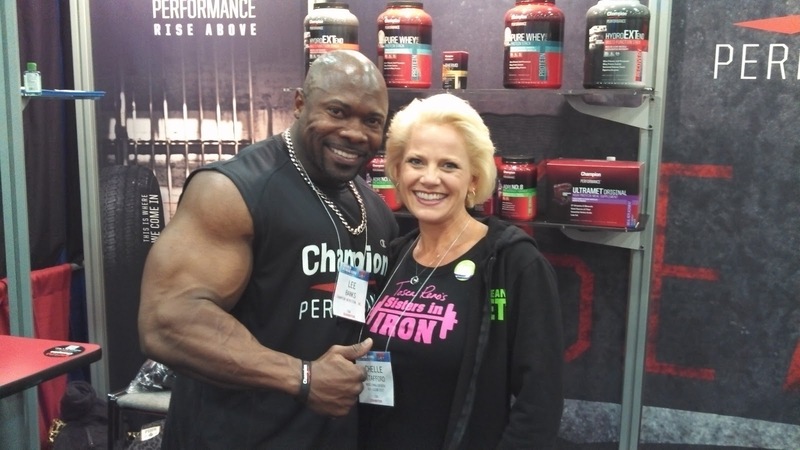 Champion Nutrition - Rise Above! Sunday, though, all bets were off! LOL, kidding. Once the show was done, I could relax with my diet just a bit - for dinner I enjoyed a flatbread steak & mushroom with bleu cheese - OMG - it was sooo good! And I had a latte - which I regretted this morning when my gut said, "dairy??? what's this dairy????". Lol. Tonight, back home, I ordered tacos ;-) but they messed up and gave me soft tacos - so I just scraped out the meat and veggies and tossed the tortillas. Not that there's anything wrong with tortillas, necessarily it's just that I've got to ease back into "normal" food. Tomorrow I'll do my grocery shopping and food prep - I'll be increasing my calories, but my macros will probably stay the same. I need to decide the next steps in my goal (build muscle and hit the stage 2014). And here we are. I'm home, relaxing. I'm looking back on an incredible weekend with amazing people - it's such an honor to serve Tosca and The Eat Clean Diet as an Ambassador. I've been touched and changed by the stories I heard, the wonderful people I met. 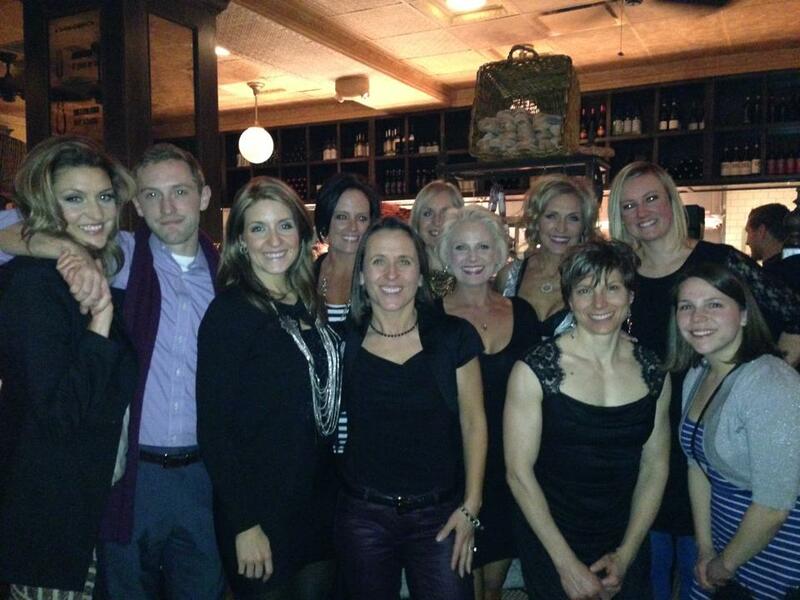 I was thrilled to meet my Champion Nutrition sponsor and some of the inspiring athletes that represent Champion. Truly an unforgettable weekend. I'm recharged and inspired! Now I'm looking forward to the next leg of my journey, and I'm excited! Sounds like an awesome trip, Chelle! Anyway, my dear, your tummy looks AMAZING!!!!!! Like a 20-year-old's. I'd definitely show that off and your breasts look fantastic, too! Warning! You should buy best testosterone booster for bodybuilding only from authorized official website only. Learn detailed information from here.